NiQ Health congratulates their Gold Partner KTR for the successful upgrade of Ron Conn Nursing Home to CarePlus™ Nurse Call System. 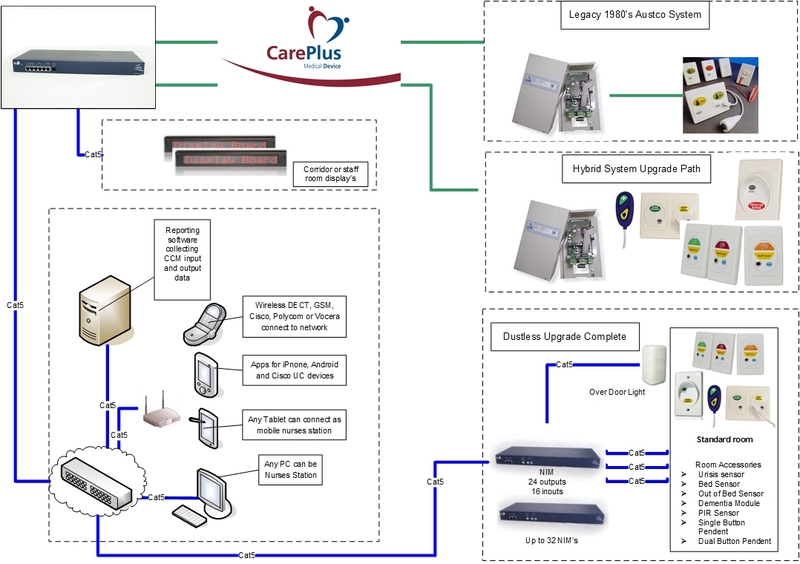 With CarePlus™ Backward Compatibility solution, KTR was able to replace the old MediCom head-end with CarePlus™ Central Control Module (CCM), while maintaining the existing cabling and Austco room controllers. This upgrade provides enriched features including advanced IP-based CarePlus™ nurse call, reporting, wandering patient integration, whiteboard displays, digital telephony and integration capabilities to advanced communication and 3rd party systems. Ron Conn Nursing Home is a residential care centre for the elderly managed by Wintringham – Specialist Aged Care, a not-for-profit welfare organization based in Victoria. KTR has successfully commissioned the legacy system at Ron Conn upgraded with the CarePlus™ backward compatibility feature, which provides 21st century advanced nurse call capabilities by CarePlus™. Delivering a flexible upgrade option, to achieve superior workflow efficiency and productivity, while optimizing the ongoing maintenance and support of the 1980’s Austco systems.